EVERY OF THE STUFF: SON OF A SAILOR// Son of a Sailor for the holidays! SON OF A SAILOR// Son of a Sailor for the holidays! i have a friend who claims to almost be done with her holiday shopping. i think she’s a robot. (yeah, you, leonora!) regardless of whether you’re an early bird or not, it’s about that time! to get your gift-giving on. 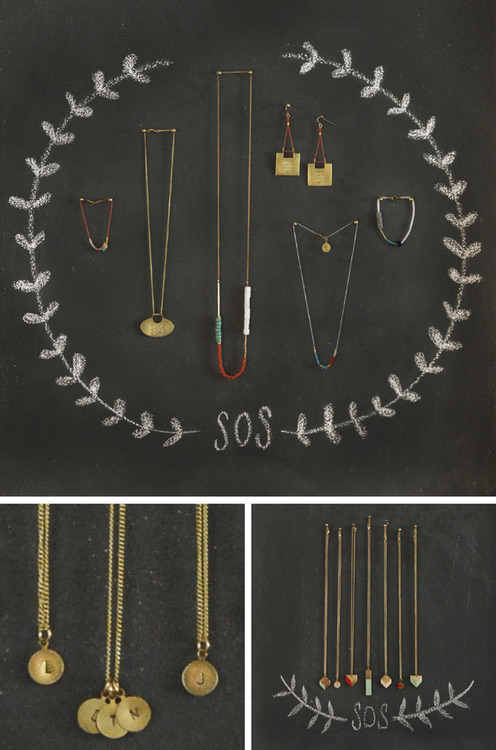 we’re posting a series of gift guides through the end of december, but we wanted to send you our own little holiday-styled reminder that Son of a Sailor jewelry makes a great gift for your ladies! top: selections from Polaris, our Fall 2012 collection, bottom left: brass initial necklaces (also available in gold-fill), bottom right: selections from our Classics collection.